The 2014 Medical Conference, Cardiomyopathy 2014, is being held at the Cavendish Conference Centre in London on the 23rd May. The cardiomyopathy association are providing free places at the conference for all medical traineee grades. Consultant grades also benefit from a discounted £95 registration fee. Cardiomyopathy 2014 continues the theme set in 2013 of providing updates on the diagnosis and management of cardiomyopathy. The meeting is supported by internationally renowned speakers and will combine parallel practical sessions, dedicated to common aspects of cardiomyopathy practice, with conventional lectures. Following from the post last week, the programme for the North Hampshire Hospitals training day has been released. This promises to be an excellent day with a rewarding timetable of activities. If you haven't done so already, please let Dominic Kelly know if you plan to attend. This meeting is fully funded and organised by the Alliance of Daiichi Sankyo and Eli Lilly & Co Ltd. Any Hospitality provided at this meeting will be in accordance with the ABPI Code of Practice and Daiichi Sankyo and Eli Lilly & Co Ltd. policy. The April 29th Wessex training day is taking place at Southampton. The event is open to all those across the South, and since places are limited, you need to register ASAP. Please note that the registration fee is waived for Wessex trainees. HeartSTART is a unique collaboration between The Heart Hospital and Boston Scientific designed to deliver specialty training in device management. The programme offers high quality hands on education and training for tomorrow’s device specialists. This is an opportunity for participants to undergo intensive tuition by a centre of excellence to provide them with additional specialist skills to take into their clinical practice. 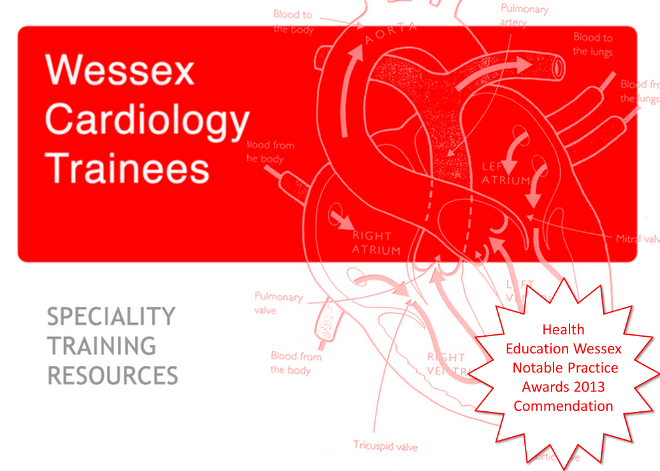 Comprehensive coverage of all aspects of device management, including ICD, CRT and advanced implant/explant techniques as well as hands on experience in cath lab, virtual reality, heart dissection and device programming make this a truly comprehensive programme. Split over 2 modules, one based at our Institute in Paris and one based in London. Submission of CV and log book of procedures is reviewed by the course director (Dr Martin Lowe) for final acceptance as well as a commitment letter from the candidate and department head. If you would like to be considered for a place, please ask your clinical supervisor to nominate you via Deb Perrett, Wessex Territory Manager for Boston Scientific.